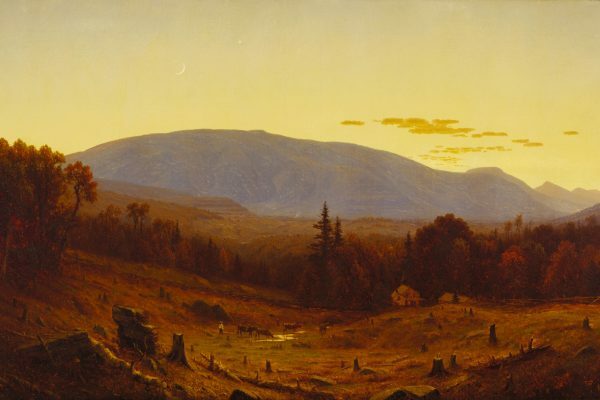 History can be discovered in virtually every corner of New England, from the Battle of Lexington and Concord and the Boston Tea Party in Massachusetts to the Strawberry Banke Museum in Portsmouth, New Hampshire and the Bennington Battle Monument in Vermont. A great way to explore the past is by touring the homes where history was made, thus soaking up the atmosphere and experiencing what life was like for these legendary people more than a century ago. 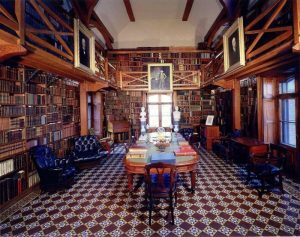 The stone library at Peacefield; photo courtesy of the National Park Service. 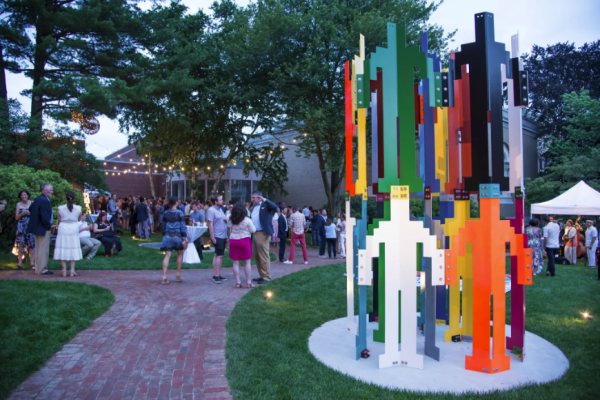 The Old House at Peacefield in Quincy, Massachusetts provides such as opportunity. Built in 1731, it was home to two U.S. presidents, John Adams and John Quincy Adams, and it remained in the family until 1927. The house still features a vast collection of original artifacts that help detail the family history, while the adjacent Stone Library, built in 1873, contains more than 12,000 books that belonged to the Adams’ family. Following a tour, take time to stroll the historic orchard and the 18th-century style formal garden, which features thousands of annual and perennial flowers. The Daniel Webster Family Home, also known as The Elms, is located in West Franklin, New Hampshire and has been designated a National Historic Landmark. Webster’s father, Ebenezer, bought the house in 1800 when Daniel was a student at Dartmouth College. The property passed to Daniel’s brother, Ezekiel, in 1806, and it was purchased by Daniel following Ezekiel’s death in 1829. The property served as an experimental farm and a summer retreat for Webster for the next 23 years. 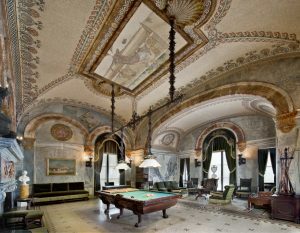 The billiards room at The Breakers; photo by Gavin Ashworth, courtesy of The Preservation Society of Newport County. 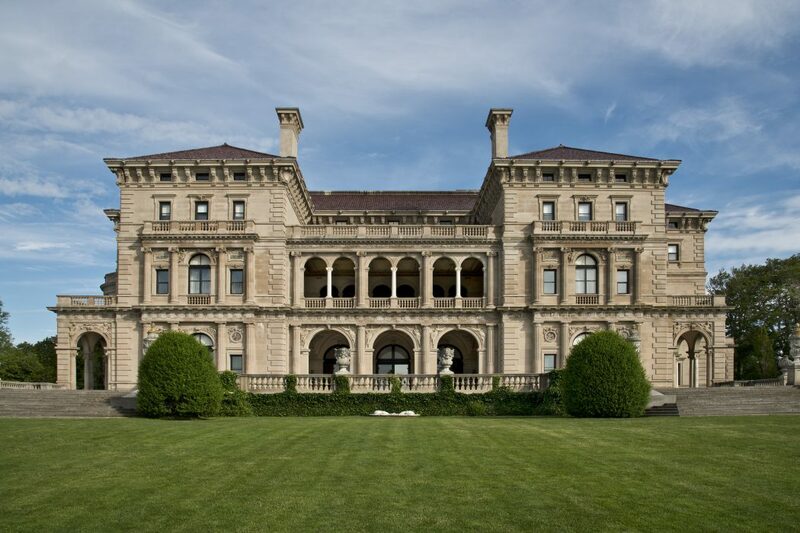 For an inside look at the Gilded Age, there is no better spot to visit than The Breakers in Newport, Rhode Island. This so-called “summer cottage” epitomizes the massive wealth of the Vanderbilts, who resided here in the late 19th century. Tours take visitors throughout the opulent mansion, while also exploring the underground tunnel, the boiler room and the basement. At Connecticut Hall on the campus of Yale University in New Haven, Connecticut, you can visit one of only seven surviving American Colonial-era college buildings. This Georgian structure was completed in 1752 and originally served as a student dormitory, a function it retained for 200 years. It was designated a National Historic Landmark in 1965. 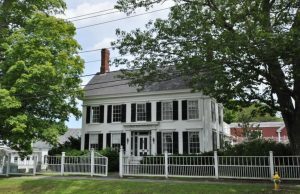 To fully understand the author of “Uncle Tom’s Cabin,” you must visit the Harriet Beecher Stowe House in Brunswick, Maine. Tours focus on the historical and cultural impact of the author, while also featuring a look into her family, friends and colleagues. A special focus is on the abolitionist, civil and human rights, and Underground Railroad movements in which these historical figures participated from the 1830s to 1860s. Harriet Beecher Stowe House; photo via Wikipedia. Finally, no tour of historic New England homes would be complete without visiting the Robert Frost Farm, also known as the Homer Noble Farm, in Ripton, Vermont. This 150-acre property was home to the iconic poet from 1939 until his death in 1963. Frost lived and wrote here during the summer and fall. The 19th-century farmhouse and rustic wooden cabin is now owned by Middlebury College, and the grounds are open to the public during daylight hours. Top photo: The Breakers; image by Gavin Ashworth, courtesy of The Preservation Society of Newport County.